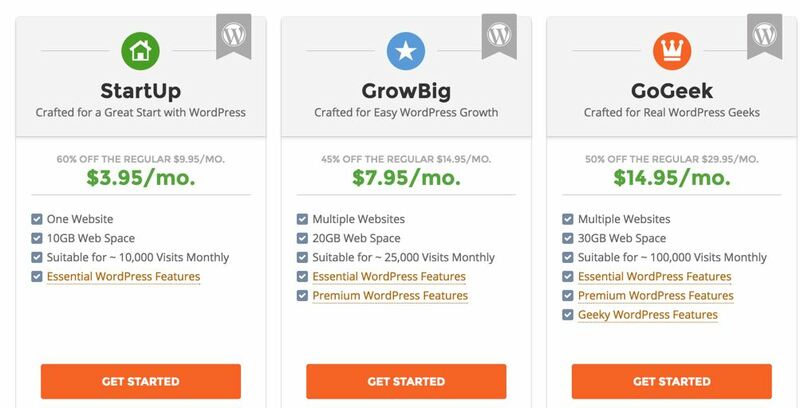 SiteGround ‘s pricing for WordPress hosting starts at just $3.95 per month for the StartUp plan, and it goes up to $14.95 per month for the “GoGeek” plan. Take note that these are shared hosting plans. Uptime: In any given year you can expect 99.99% uptime. SiteGround uses a stable Linux Containers (LXC) to handle unexpected traffic spikes, pro-active monitoring to catch issues before they become problems, and secure account isolation so that an issue on one account won’t affect others on the network. Site Response Time: As always, your site’s content is going to determine the speed of your site. 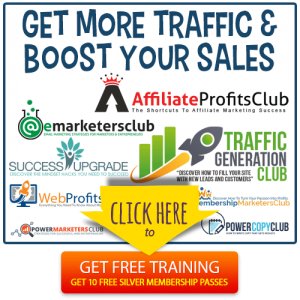 However, SiteGround has installed several features to speed up your site. This includes SSD drives on all plans, an NGINX web server to increase the speed on static content, and a “Geeky SuperCacher” to speed up the delivery of dynamic content. They also provide a free CDN so that global visitors will get content delivered from the data center that’s nearest to them. Backups: SiteGround does free daily backups for all plans. If you opt for the premium plans (the GrowBig or GoGeek plans), then SiteGround will retain your data for up to 30 days. You’ll also get more options with these premium plans, such as being able to choose a restore date. Support: You get 24/7 tech support, which is offered through your choice of phone, live chat or help desk. The GrowBig and GoGeek plans also offer premium support, which means your issues get top priority. 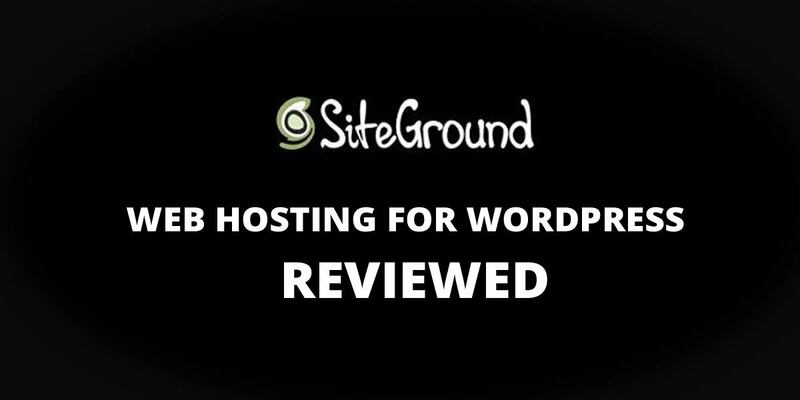 Hardware Specs: All SiteGround WordPress hosting plans include fast SSD drives. Storage space ranges from 10 GB to 30 GB, depending on the plan you choose. 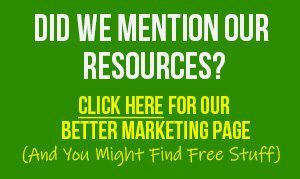 Monthly visitors are used as a measurement rather than bandwidth, and plans range from 10,000 visitors per month to 100,000 visitors per month. Software Specs: SiteGround gives you access to your site through cPanel. All plans include fast SSD drives by default. WP-CLI is included for command line access of your site. All plans get 24/7 support by phone, live chat or help desk. 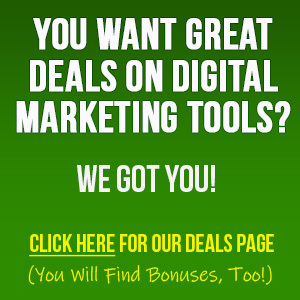 You get a free domain and free website builder. SiteGround is built on technology that’s focused on speed, including offering a free CDN. One-click WordPress staging creates a copy of your website for development purposes. WordPress Special Cache to speed up your website. SG-Git for WordPress repo creation, which enables you to deploy updates with ease, as well as see differences between your live and staging sites. HTTP/2 enabled servers, which enables your visitors’ browsers to load your site more quickly. Premium backup and restore services. SiteGround offers a variety of plans that are packed with impressive features for a relatively low cost. If you’re just starting out or you’re working with a small budget, SiteGround would be a good option. As your needs grow, you can upgrade to their premium plans, or even to their cloud hosting options. SiteGround offers feature-rich plans for relatively little money, including fast SSD drives on all plans. This is shared hosting, which means you lose some of the advantages (such as better management) that you get with VPS hosting. This is not a fully managed service. However, if you’re comfortable installing, updating and maintaining your own WordPress sites, then you can add SiteGround to your list of possible hosts. 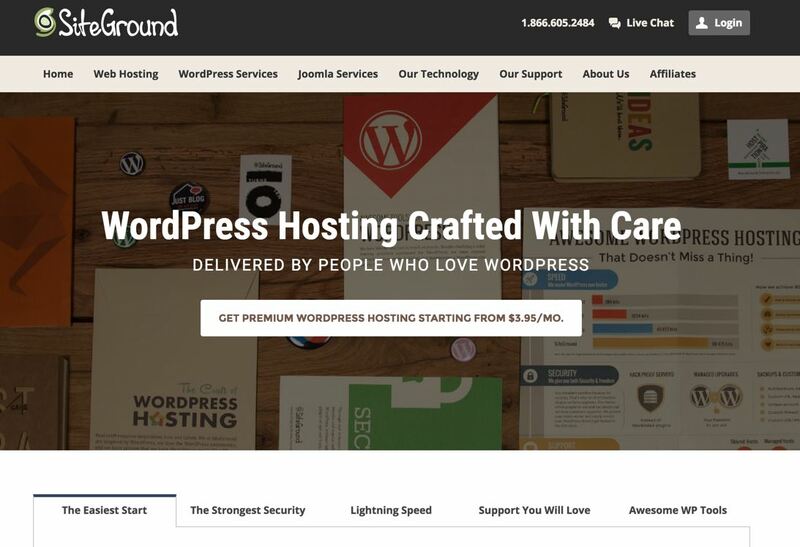 If you’d like to learn more about SiteGround’s feature-rich, managed WordPress hosting with premium support, check them out by clicking the button below.